Last year I lost a few months worth of data from my insulin pump, due to poor software. There was no data going back from that time. The previous time I had downloaded the data from my pump was at the end of August, so I ended up losing two months worth of data. That data contained all the information of my temporary basal settings, and was really important for me. As I'm figuring out the correct basal dosing related to my exercise, I want to take a look back every now and then to see which rates have worked best during exercise and after it. I really wanted to save the data from all the football matches from one season, where I had used different settings for different games and practices, to be able to analyze the results and also share it with my healthcare team and other people with diabetes. Now I could not do it anymore. I explained my problem to the pump support team and they confirmed this is a flaw in their software. The pump actually preserves all the data, but the software used to read it gets confused when there are overlapping entries or gaps in the records. And this happens each time you change the time on the pump, whether due to daylight saving time or traveling to another time zone. They also explained that this is a well known problem and they are working on getting it fixed. As for now, there is no fix available. 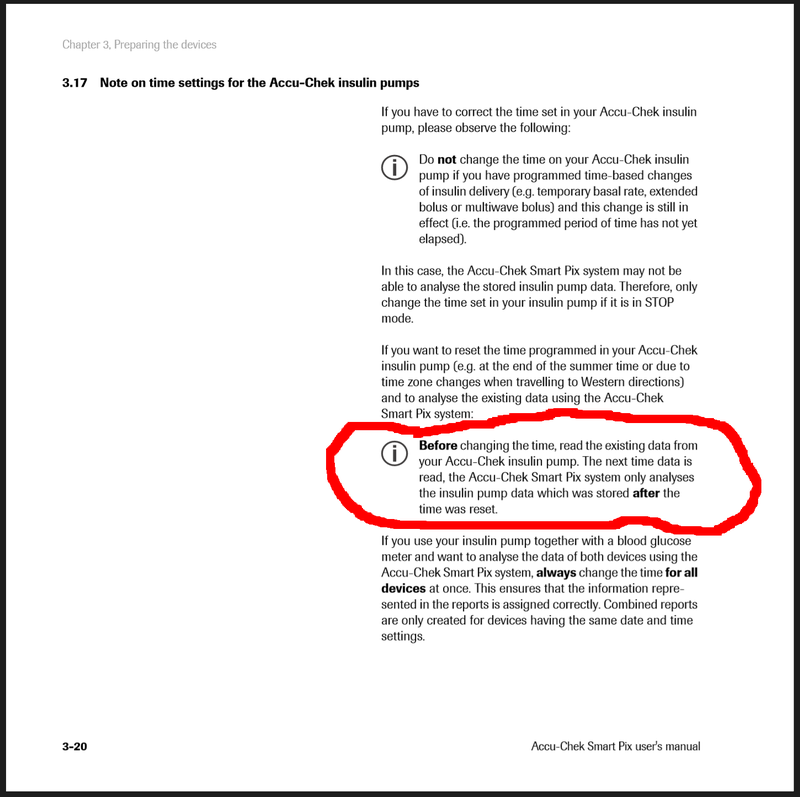 So if you're using the Accu-Chek insulin pump and care about your data, make sure to download the data before changing the time on the device!